The Cover: I could make a comment on how Superman needs to be more careful when choosing his friends, but then again he’s best friends with Jimmy Olsen; the walking disaster zone. So let’s just take this cover for what it’s worth. 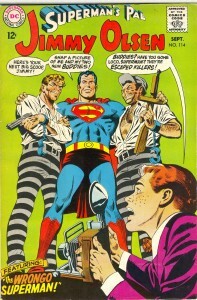 Superman has decided to become friends with a pair of escaped convicts who are known to be murderers. Which based on previous covers, seems to be par for the course for Superman. The story: Our tale of prisoner buddies starts off with a splash of Superman cooking hamburgers for a fat, short and tall Jimmy Olsen look-alikes. 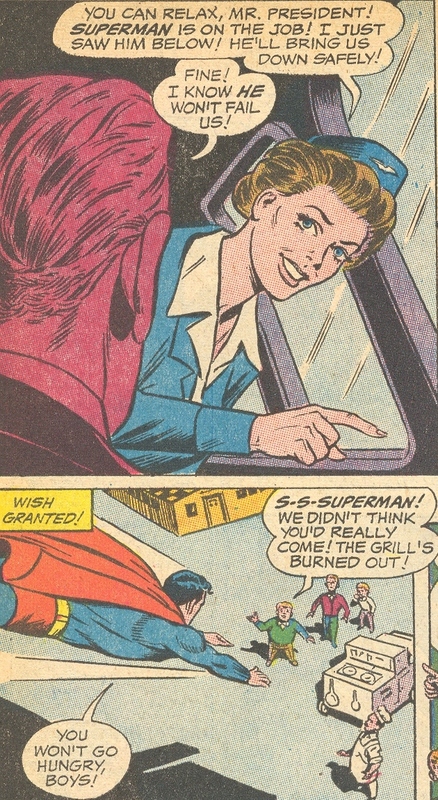 Of course, this is important because Jimmy Olsen is wondering why the heck Superman is cooking burgers for these weirdos when the president’s plane is apparently having landing gear problems. 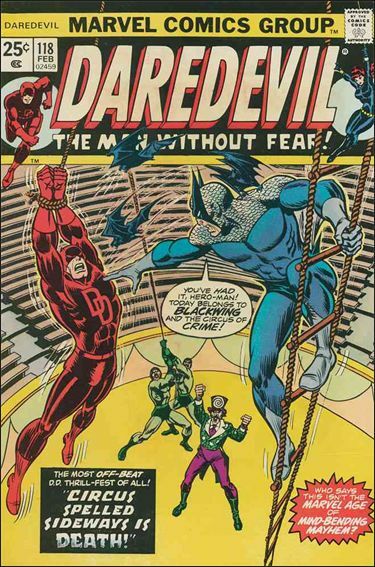 Like any good DC story, we flash back to the beginnings of this crazy splash. We've got tall, short, fat but no one normal who wants to dress like Jimmy Olsen...big surprise. We start off with a salesman named Jethro Hale waling into Jimmy Olsen’s office with a duffel bag of money and an offer for young Jimmy. Apparently he wants to market a line of Jimmy Olsen products from costumes to board games and he’ll pay Jimmy Olsen a boatload of money for this. Jimmy being the money grubbing idiot he is, agrees to the deal without wondering who in their right mind would want to dress up as him. A few days later, we find Superman flying through the city looking for Jimmy who has been skipping work. Flying around, Superman finds the city plastered with advertisements for Jimmy merchandise and Jimmy skipping work to hawk his terrible merchandise. How big is this advertisement? 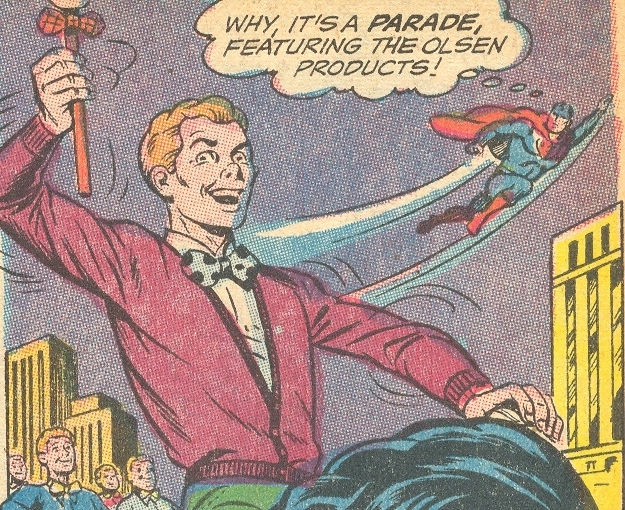 There’s a frigging marching band of Jimmy Olsen look-alikes! 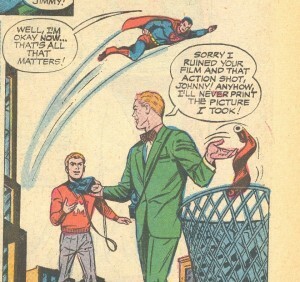 How Jimmy Olsen doesn’t get fired for pulling crap like this at work? I’ll never know. Look at this crazy guy? I told you no one normal dresses up like Jimmy on purpose! While Jimmy is raking in the dough, Jethro is watching the proceedings while his mysterious sponsor remains off screen gloating about some kind of master plan. We cut back to Jimmy and Superman as they host a Jimmy Olsen look-alike contest and award the winner a camera and the chance to spend a few hours with him. Can you just imagine the insanity pervading this city? All of a sudden, they get a news bulletin about a pair of escaped convicts holding a girl hostage. Superman flies over to the scene to apprehend them as the Olsen look-alike snaps a photo with his special camera. All of a sudden, Superman lets the criminals go and asks Jimmy to snap a picture of him with his newly declared buddies before letting them go to escape. Though the police manage to capture the criminals, when Jimmy asks why Superman let them go, he can’t remember. So thinking somehow that the camera is at fault, Superman uses his x-ray vision to ruin the look-alikes film thinking it was made of red kryptonite somehow. 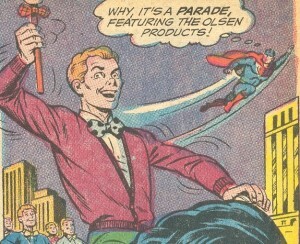 Jimmy Olsen: The man who can sabotage anyone's dreams of being a reporter! Later in what possibly is the same day, the presidential plane arriving in Metropolis is having landing gear problems. 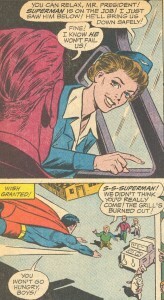 Superman answers the distress signal but finds that a mobile hamburger standing serving a fat Jimmy Olsen look-alike nearby who is using his fake Olsen signal watch as a joke. 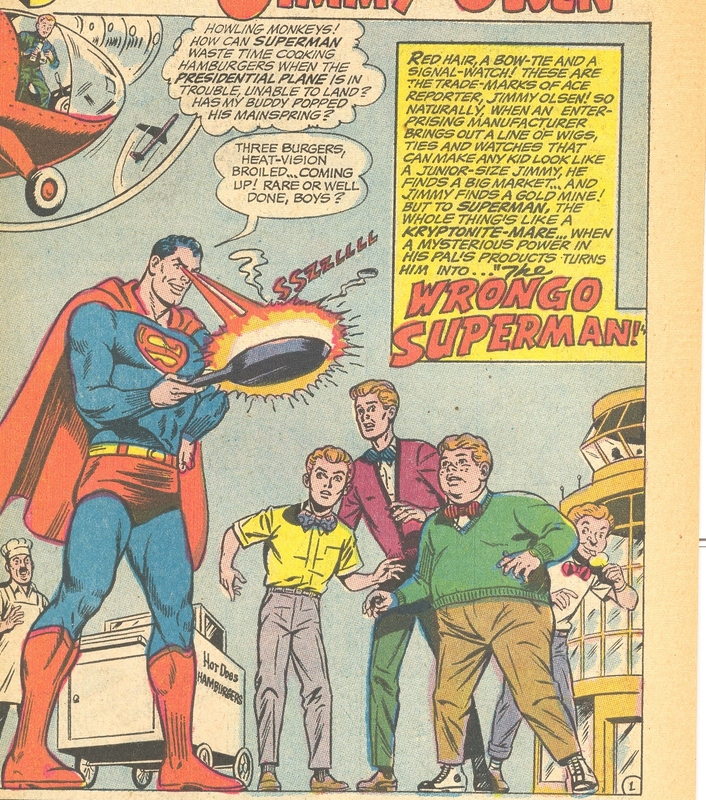 Deciding it’s obviously made more sense to stay and cook hamburgers for the tubby Jimmy instead of saving the president, Superman uses his heat vision to fry up some burgers. Seeing as how Superman has become completely useless, Jimmy Olsen flying in a helicopter whips out a lariat from the emergency rope he always carries with him. He then throws the lariat THROUGH spinning helicopter blades and pulls down the plane’s landing gear. Back to Superman who is no longer acting as a fry cook, he uses his x-ray vision to examine the signal watch to find some red ants inside the watch. Another cut back to Jethro who asks his mysterious boss why is he pulling this crap on Superman. His boss tells him that he made a bet with someone that he could make Superman look like a sap for a week. Astute Superman fans should see that this is enough of a clue to clue them in on the mysterious person’s identity. Hunger waits for no man. Not even the president of the United States! The next day, Superman and Jimmy are attending a baseball game when a Jimmy Olsen wig falls onto Superman’s head causing him to throw all of the baseballs into the next state and run off with the baseball bats in a truly random act of insanity. Deciding to get to the root of the matter, Superman flies with Jimmy to his fortress and analyze the wig only to find no clue of what’s happening. But cutting back Jethro’s place, his boss finally reveals himself to be Mr. Mxyzptlk! Apparently he made a bet with another imp that he could bother Superman without being caught by using this Jimmy Olsen scheme as a red herring for Superman to follow while using his magic to affect Superman the rest of the time. Holy crap this definitely deserves a spot in the hall of lame for most convoluted plans ever! The day after, Superman and Jimmy Olsen are showing off the latest Jimmy Olsen product; a Jimmy Olsen telegraph complete with secret Olsen code! 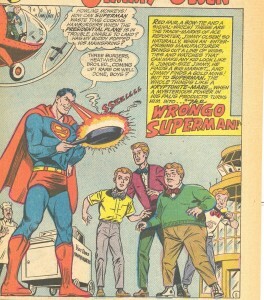 To demonstrate his special product, Jimmy Olsen taps out Superman’s secret identity since no one can decode the message. Then what is the point of buying the machine if no one can decode the messages from the machine! But anyways, Mr. Mxyzptlk is standing in the audience and decides to decode the passage and yell it out loud. But as he yells it out, he says “Superman’s secret identity is Joseph Q Mxyzptlk!” causing him to be sent back to the 5th dimension. Jimmy reveals that they knew Mr. Mxyzptlk was behind this scheme when the wig that landed on Superman’s head was moving against the wind at the baseball game. 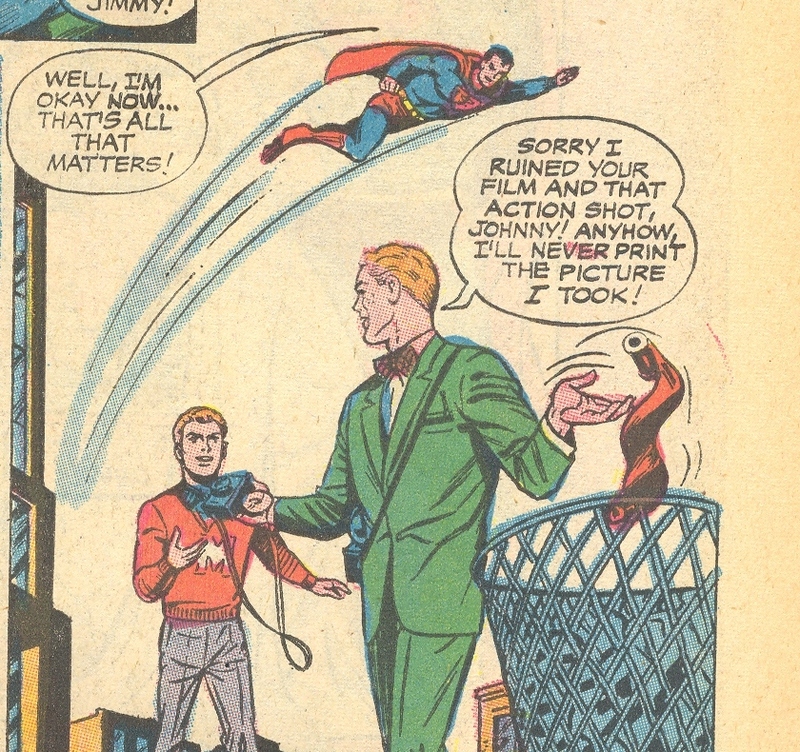 As Mr. Mxyzptlk is sent back, all of the Jimmy Olsen merchandise made by him disappears off their owners. Superman then tells them to go after Jethro for their money back and that concludes this awful mess of a story. The rating: 8/10 The scene on the cover plays out pretty much exactly as shown though not in quite the same context we expect which is expected of a Superman title. So why not the 10/10? Well, I docked 2 points for being such a terrible story! Crazy Comic Covers: Lois Lane #93 "The Superman-Wonder Woman Team"